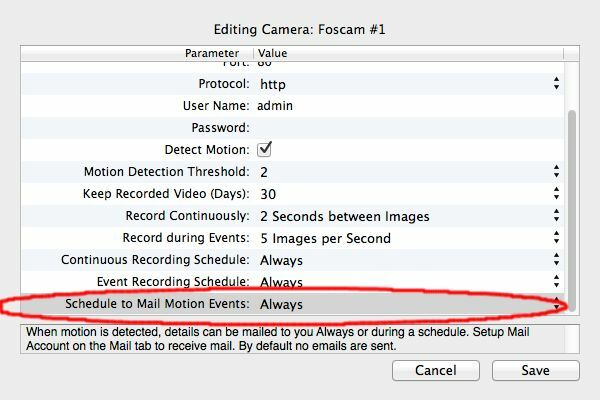 How to get email notifications when Motion is detected on a camera? Test the email account using the Test button to make sure you receive the email. We have pre-configured the mail server addresses for Gmail and Hotmail servers. If you use other mail servers, check with your mail provider: which SMTP address and port you need to enter. At this time, we only sent emails to secure Mail Servers with SSL (or TLS) security. Now, when the Recorder detects motion on the camera, it will notify by email. Let us know how it works for you and whether we can help you with anything else.